"We were beyond pleased with Christy! We received exceptional service and our home sold very fast at full price! Her attention to detail and client relationships was A+++"
"She's a wonderful Realtor and always goes the extra step for her clients." "Honestly, she is so amazing! She is exactly what I was hoping for in a Realtor. She was quick to respond to texts and emails and did everything possible to make sure our home buying process went as smoothly as possible." "Thanks Christy. As I've said before, you never fail to amaze me with your level of exceptionalism and professionalism. I know you must have put a lot of work and effort into assisting the appraiser with respect to influencing her perception of the value of my home. I am honored and proud to have you representing me, and the neighborhood benefits as well. Keep up the good work." "So helpful through the whole process of buying my home. She always went above and beyond to make sure I understood what was happening. I felt that she had my best interest in mind throughout the buying of my home." "We sold our home with Christy and we were so pleased we chose her. We loved working with her and her team to sell our home in record time. Everything went smoothly and Christy answered all of our questions promptly. We feel the knowledge and years of experience Christy has was truly an asset for us. We will work with her again when ready to purchase a new home!" "Christy was able to keep us up to date with new listings on the internet since we were out of state purchasers. We were able to complete documents on line. She guided us through each step with ease. We enjoyed working with her!" "Christy is the best in the business. Very knowledgeable, friendly, proactive and is just an overall great person to work with." "Christy is extremely professional and efficient. My neighbors complimented me on the house brochures they received. The house sold within a few weeks of the listing." need a realtor again and I won't even consider anyone else." "Christy and her assistant Barbara Baldwin did excellent work on listing and selling our home. They responded promptly to our questions and problems. We were very satisfied with their professionalism and service. We highly recommend Christy for any real estate needs." "Christy is the best when it comes to real estate. She is very knoledgeable about every aspect when it comes to buying or selling a home. She is proactive, detail oriented and on top of every aspect of the transaction. She is very responsive and is willing to go the extra mile. I would recommend Christy to anyone in the market of buying or selling a home." "Christy was great! I had never sold a home before and she was there for me every step of the way. She took the time to explain each step and was there to reassure me that everything would work out! Selling a house can be very emotional and stressful. I'm glad I had Christy on this journey!" “I can’t thank you enough for your kindness, patience and hard work as you walked me through the purchase of my first home. I never imagined I would own my home, let alone single and in my 20’s. You made this all possible! What an amazing adventure this has been. Everyone told me buying a home would be the most stressful experience of my life. Working with you made it feel sinfully easy! I hope this year finds you tremendously blessed. You have certainly blessed me." "Christy and her team provide the most knowledge and the best service in the real estate market in Ventura County. We have used Christy to both sell and buy homes and have been completely satisfied with her service and most importantly to her attention to detail. We recommend Christy Rueckert to anyone buying or selling a home in Ventura County." "Christy is an honest, hardworking, awesome realtor. Anyone would be lucky to have her representation." "Christy is very personable and knowledgeable of the market place. She has a great team behind her which helped us get the highest resale for our home." "Christy was well organized and very interested in finding us our perfect home. Once we selected the house of our dreams, she helped us negotiate the deal and followed through on all the details. We'd highly recommend her services." "Christy is a ROCK STAR in the real estate market. She knows her business. She is a very smart woman and really makes you feel like you’re more of a friend than a client. She makes the process of buying/selling properties less stressful. Her personality & knowledge of the market is key in selling real estate. We have worked with Christy in the past and are now working with her again to sell our homes. She knows her business and is a very smart Realtor & woman. We will always work with Christy for she is our go to Realtor. Thanks again Christy for all the success we have, your advice, sharp eye and the knowledge of her clients." "Christy Rueckert has helped us buy two houses and sell one. I would consider her the best in the business in Ventura County. You will not find a Realtor that will work as hard as she does to find you desired home." "Christy was amazing through this entire process. She helped us with a short sale in 2009 and it was awesome to have her help us purchase another home. We were in a time crunch and she and Maria were "on it!!" They took my husband and I to every house we wanted to see, even the ones they knew we would not like!!! They answered my texts or phone calls promptly, and were so nice and calming through the entire process!! They were both so kind and patient with me... I may have been a little stressed the past 2 months." "Christy proved again why she is the #1 agent in Camarillo. She knows how to market a property and obtain the best results for her clients. Throughout the process she kept us informed and would respond timely to any questions that arose. It was a pleasure to work with her." "Great to work with! We used her in a previous transaction to purchase the home with her. Always available when needed and will find an answer when she doesn't have it on hand. My wife and I were selling a unique property and without a doubt wanted Christy to list it for us. She came in and made a realistic timeline and set goals to get the home ready for the market. She didn't cheap out on the photography of the property which I thought was an important factor in properly marketing the home. We had an accepted offer 11 days after we had put the home on the market. Being the seasoned veteran that she is, the process was quick and painless. We would absolutely use her again! Christy did a great job, couldn't have asked for more!" “I found Christy on the internet, once I met her I felt like I was in good hands. We never had to worry about any of the above details because they were always handled efficiently and accurately. Christy answered every single phone call and every single text. She was available every time we needed to see a property and we looked at a LOT of properties. She never sent her assistant, she made the time to do it herself and we really appreciated that level of customer service. She's polite, knowledgeable and very professional yet warm. Cassie stepped in when Christy was out of town and it was seamless. From start to finish this was BY FAR, the most pleasant realtor/home buying experience we ever had. The best compliment I could give is that during the process of buying this house, we found out that Christy won the number one spot for best realtor and that's a huge award and we had no idea that she was this high up in her field as we felt so important to her as a customer, we never got the feeling that she was too busy or our home was not expensive enough for her to be so hands on. It is a testimony to her personal customer care." "Christy and her team did an excellent job! I would recommend her to my friends and family! The entire transaction was stress free. She took care of everything for me." "Christy Rueckert and her team were a pleasure to work with. They made us feel like a top priority and we're always available to show us homes and answer our many questions. We appreciate their effective communication and efficiency. We always felt taken care of and they made buying a home as stress free as possible. We had a wonderful experience." "I think it was Christy's constant communication with us, her knowledge and experience. Christy led us through the entire transaction with patience, explaining and using her knowledge to help us with the sale. It's been 20 years since we sold property and a lot had changed. Christy was always a professional but made us feel like family. I think that is high praise indeed!" "Christy Rueckert was wonderful to deal with. The advise for updating our condo for sale and her knowledge of the market in Mission Verde was helpful. It was exciting to have an offer within a week of listing our condo.Christy kept us informed along the way through closing. We would definitely recommend Christy and her team!" "Christy and her team were amazing. They were spot on with the staging ideas. The quality of the flyers and all pictures were top notch. I would definitely recommend her to anyone looking to buy or sell a home." "Christy & Maria were wonderful to work with. Extremely professional, thorough marketing plan, open houses & communication was great. Any questions we had were responded to promptly. We would highly recommend these Agents to anyone buying or selling a home." 1. Lots of local market knowledge of the market. 2. Understand your needs and helps you in the decision process, which could be stressful as finances are involved. 3. Will take care of almost everything. 4. She has a very strong team and gets things done. I highly recommend Christy as a real estate agent for buying or selling the property. She will take care of process for you." "Christy helped us in more ways than just selling our first home, she genuinely cared, provided necessary feedback to help the sell, and has a resourceful and professional team that steps in if anything is needed. Great experience overall for a first time seller." "Christy was dedicated, professional, and friendly! Christy and her team worked incredibly hard to sell our home under a tight deadline. She was amazing at marketing the home in every way possible and was always there for us to answer any Qs and guide us through the process. Christy got us a winning offer and we closed well before our deadline. We are so happy and highly recommend Christy!" "Charming, talented and on the ball. Christy provide maximum exposure for my property through a variety of advertising, and open houses. She was always responsive to my questions and suggestions and kept me informed and involved. This can be a stressful process and Christy made it calm and successful. Top ratings for her!" "I chose Christy as my realtor after I had already found the house I wanted to buy. I was working with other agents before Christy who left me feeling like I knew more about real estate than they did, which was not a good feeling since I don't know anything. Selecting Christy as my agent was the best choice I made in the entire home buying process. Not only was she was integral in negotiating a lower purchase price for me, but she really showed her value and expertise while helping me navigate a very difficult 4 month long escrow. Christy and her team are hard working, diligent, and extremely professional. She went above and beyond many times for me including an instance when she personally drove to the County Building Department to retrieve some documents and permits to provide to my very difficult lender, while I was out of town. I really feel like Christy was dedicated to ensuring I was getting the home that I wanted and that all of my needs were being addressed and satisfied. I honestly can't say enough great things about Christy and her team, and highly recommend them for any and all real estate transactions. I know she has me as client for life thanks to her many efforts." "Christy and her team are absolutely the best. This was the easiest selling experience I've ever had." "Christy is extremely professional, friendly, and attentive. She is a very knowledgeable, experienced agent who knows how to get the best deal for her clients. We love the way she always looks out for her clients' interests first, and gives very helpful advice and suggestions while listening to what the client wants. Christy was always there when we called or texted, and her quick replies made the transaction run smoothly. Finally, Christy is a genuinely nice, fun person who is always positive and upbeat, and it is a pleasure to work with her." "Christy and Maria were excellent to work with! This is our 2nd time working with Christy and we know she will be honest and work with us every step of the way." "Great communicator throughout the entire process. Also very knowledgeable regarding our particular market. Great staff too. They staged our home and we closed to full asking price. We'd highly recommend her services!" "Christy is the epitome of professionalism. She knew exactly how to stage our house, had a professional photographer, a solid marketing strategy and sold our house after just 6 days on the market! She was always very prompt at responding to any questions/concerns that we had and VERY organized. This is our 2nd transaction with Christy and it was completely seamless once again. I would highly recommend her for your agent!" "Christy was always professional and persistent in selling our home. She is unflagging in her optimism and support, communicative and trustworthy. We will be using her services again without question." "Christy & her team are phenomenal! We listed our townhome and in one day we got an offer! The entire transaction was very smooth without hiccups! She and her team are pros! Thanks!" "Christy is so professional and reliable. I would ONLY use her for my future real estate needs! Her assistant Maria, is also wonderful!" "This is our second time working with Christy and she is always very personable and professional. She is very organized and we couldn't have asked for a smoother process when selling our home!" "We really appreciate the great & friendly service and all the knowledge that Christy Rueckert and her team brought to the purchase of a very unique property in Ventura. The remodeled 1911 craftsman is a great property, with some challenges to really understand what it is worth in the market. Christy did research on the comps and helped us understand the good things and the challenges. 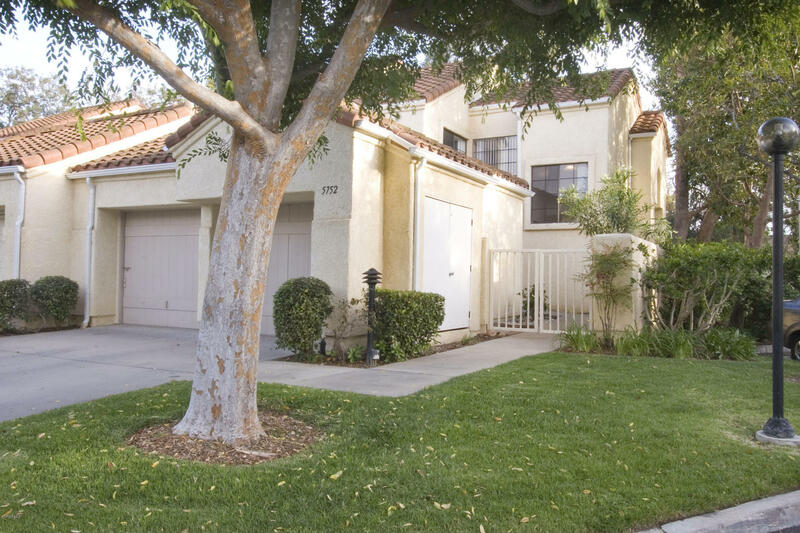 We got through the inspections, repairs, appraisal, loan & closed escrow right on time. We have bought and sold 7 properties with Christy's assistance over the years. Everyone of them was a great experience with a truly professional team. Thanks again Christy! Ray & Mary Bradford"
"This was my second transaction with Christy. When I first made the decision to sell, there was never any doubt that I would be calling Christy for assistance. She is very professional and proficient at helping solve any of the problems that often arise during these transactions. She is always readily available via phone or email. She also has an aggressive marketing plan when selling a house, in addition to the listing on the MLS. Today's market seems very competitive. A good agent increases the odds that you will get into escrow, whether buying or selling. Christy is wholeheartedly comitted to excellence and is no doubt one of those agents that is qualified to represent any buyer or seller. I will continue to recommend her to friends and family in the future." "Christy is an outstanding agent. We have been using her since 2008 and we won't use anybody else. She is so diverse in what she can do. We sold a ranch in Fillmore and bought a house in Ventura. Christy is knowledgeable in all the markets. I trust her 100% and I know she is looking out for me. I absolutely recommend her." "Christy had an extensive marketing plan which helped us sell our home very quickly. She was extremely responsive to any questions or needs I had, and is an excellent communicator. She was very professional. I would highly recommend her to my friends and family! Veronika and Family"
"Christy was an absolute pleasure to work with. She walked us through the entire process, which went smoothly. She was extremely professional and helpful. I would definitely recommend her to all my friends and family. Julius and Family." "Christy and her team were wonderful to work with and provided excellent service throughout our home selling process. Christy has a deep knowledge of marketing and selling homes and knew our neighborhood like the back of her hand. We were continually amazed at the level of detail provided during every twist and turn during the sales process. Christy was responsive to our needs as a seller and always seemed to go the extra mile in order to make sure expectations were met. We could not have asked for a better representative from Troop Real Estate and absolutely recommend Christy Rueckert to anyone selling or buying a home in Camarillo or Ventura County." "CHRISTY AND HER TEAM WERE SO VERY GREAT TO WORK WITH. OUR EXPERIENCE WORKING WITH HER WAS NOT ONLY HER PROFESSIONALISM ,BUT HOW QUICKLY AND EFFICIENTLY OUR HOUSE WAS LISTED AND SOLD. CHRISTY'S FOLLOW UP AND FOLLOW THRU WERE IMPECCABLE. WE WOULD 100% REFER HER TO OUR FRIENDS AND FAMILY." I knew I would choose Christy Rueckert for my Realtor years before I needed to sell my home. Her reputation for honesty and proven ability preceded her. My daughter, Liz, and I were selling the house I have lived in for 48 years. I was moving to Sacramento, some 300 miles away, to get better medical care. She, Christy and I, with the help of daily caregivers, got the place ready to sell. I use a walker and I cannot do much. Christy assumed more responsibility for my moving than usual and she kept calm through it all. She helped by suggesting the name of packers, movers, shredders, and others that she had employed previously. All of the recommended contractors were excellent. She was always there to answer questions and point out the best way to solve problems. Her management skills are outstanding! The open house on Sunday was a success with a over whelming response. Monday we had 4 offers, all at or above the list price & we chose one that day. The selling of the house was done with knowledge & skill. Escrow was fast and painless. The fact is that I could not have sold the house without Christy's expertise and trust worthiness in all our dealings. "Christy has made the process of the sale of my home and purchasing a new home a pleasure rather than the stressful experience I have experienced in the past." "Extremely knowledgeable, experienced and a pleasure to work with. Efficient, balanced and very helpful. Would highly recommend and would seek her out for my next transaction." "Working with Christy was a pleasure. She was very professional throughout the entire process. I would definitely recommend her to all my friends and family." 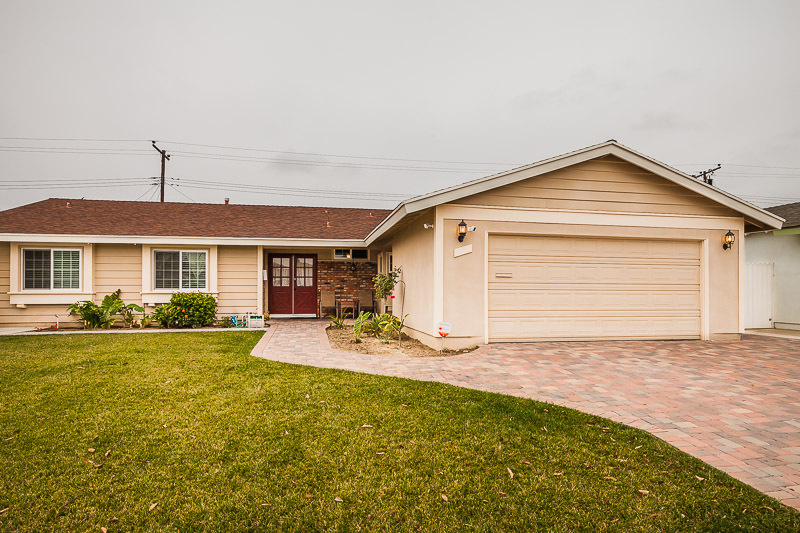 My mother and father were looking to relocate from Camarillo to North San Diego County; they were well into escrow with a new home, but their home in Camarillo had been listed and for a couple of months with little traction. Understandably, they were becoming very nervous about the feasibility of the move. The listing on their Camarillo home was about to expire and I weighed in on what they should do. My advice was essentially this: "You need a realtor who will call you back within 5 minutes of you calling them. Someone who when you first meet them shakes your hand and is holding an iPhone in the other hand." While this was pretty anecdotal, it speaks to the mindset you need in the current real estate market - a progressive service oriented realtor with a track record for getting the deal done. Right after having this conversation with my mom, I did a quick search online -- I was looking for someone who had moved comparable homes both as a listing and buying agent - all of this information is right there if you search for it. I found Christy almost instantly and without ever hearing a testimonial first hand, knew that she was the right call. Within a week of having the listing, there were multiple offers on my parent’s house and from there the transaction was handled perfectly until the close of escrow a few days ago. "Christy was awesome and efficient, I would totally recommend her and her awesome team to anyone buying or selling a home." "Christy and her team were wonderful to work with! She is professional, compassionate and responsive. Communication was fast and easy, she made great suggestions and was patient with our endless questions. I would definitely recommend Christy Rueckert and her team!" "Christy was knowledgeable, hard-working, efficient and always available. She helped us quickly sell our home with a minimum of hassle and delay. Very satisfied with her and with Troop Realty." "Christy was exactly what we wanted in an agent. She was responsive, proactive, to the point, and hands-off unless we were proactive ourselves. We were very particular in what we wanted in a property and she helped us find it. She had to adjust her schedule quite a few times to meet our scheduling needs. I would use her again as well as recommend to others. Thank you Christy for your help!" "Christy is amazing! The best realtor I have ever used. I went through so many realtors prior to finding her, none were able to meet my needs or be the realtor I was looking for. I will always use her to buy and sell all of my future homes. Christy has earned my business for life! I would recommend her to anyone looking for someone who knows the business and how to take care of clients. I work in a service industry, customer service is essential, and hard to find these days. Christy is top notch!" "Christy, She did an outstanding job for Joy, Carol and I. I personally would work with her with no hesitation. I believe she saved the sale several times. She knows her business." "We had a wonderful experience working with Christy. We needed to sell our house fast and she helped us to do so in less than a week and for more than the asking price. The entire process was so smooth and stress-free. She and her team always kept us informed and answered all of our questions promptly. We cannot recommend her enough!" "Absolutely wonderful working with Christy and her team!" "We are very happy to have Christy as our agent. She is extremely competent, smart and customer driven. She knows the market very well." "Christy is very professional, courteous, straightforward and promptly responds to queries. Enjoyed our experience with her!" "She is absolutely great! She knew what we wanted and helped us find it. We love our new home." "It was great working with Christy in this crazy housing market. She got us in to showings quickly, was organized and efficient, and gave great guidance when making offers. She was prompt returning calls and emails. We would absolutely recommend her to anyone looking to buy a house in the area." "Christy, Congratulations on earning Platinum Club for 2012. Each year you continue to rise above and become one of the top performers at Troop Real Estate. I am proud to have you a part of my team. See you in Maui!" "Recently Christy Rueckert helped us with the sale of our estate home in Camarillo. We felt she did an excellent job. From her first interview until the final close of escrow we found Christy to be knowledgeable, personable, and very professional. She, and her team, helped us prepare our home for sale, created beautiful marketing materials, and arranged several home showings. We negotiated the sale with Christy's good insight and experienced suggestions. If we had a question about the sale process, or just wanted some moral support, Christy was responsive and supportive in the most caring way. She knows the real estate business well and has great people skills. We would most definitely recommend Christy Rueckert to anyone who wants to buy or sell a home." looking for a great real estate agent!" "Christy is very professional. She really listened and understood to what we wanted in a new home. She did not waste our time with homes outside our criteria. When it came time to make an offer, she was extremely helpful and guided us through the entire purchase process. I am most impressed with her after sales support. We had a few issues with the house and agreements made with the previous owner and Christy always responded promptly and helped to get the issues resolved. She is a true professional who truly cares about her customers." "From the very beginning, Christy made us feel like family members. She provided guidance and still left room for me and my wife to make the decisions. She was on top of every aspect of the entire process. It was almost wierd how she would answer questions that I had planned to ask. What more could anyone ask for? Christy made what could have been a very challenging experience, comfortable for us." "This past month I decided to purchase a home with Christy Rueckert as my Realtor. I was very impressed with her professionalism and hard work. She made me comfortable in making the right decision to purchase. She is a go getter and would be an asset to any company. She has raised the bar for her co-workers. Thanks to Christy and Troop Real Estate I would never think of going any place else. Thank you!" "This was my third transaction with Christy, and just like all the others, it went smoothly as possible. Christy fought hard for our offer to be accepted and saw the transaction through until completion. I recommend Christy to anyone who needs assistance with a real estate transaction. She really does make it a stress-free process." "We've worked with a number of real estate professionals as we have bought and sold homes over the years. Our buying and selling experiences with Christy have been -by far- the best of all of them! We met Christy for the first time when she helped us sell our California home as we relocated out-of-state several years ago. Chrisy's expertise and integrity during the marketing and sale of our home impressed us so much that we didn't even consider working with anyone else when we recently moved back to California. Christy and her team worked to smooth the process for us, solving dilemmas with good humor and true innovation. They worked with us to help us reach our goals, listening to our concerns, keeping us up-to-date. Christy's incredible knowledge of the real estate industry and her excellent insight into making the right choices have left us not just satisfied, but very happy. We have no plans to move any time soon, but when the time comes we look forward to working with Christy & her team again. We whole-heartedly recommend Christy Rueckert to everyone buying or selling a home in Ventura County!" "A couple of years ago, before Stephanie and I were married, my future wife was in a state of high anxiety. The "Assist to Sell" agent she hired had accomplished neither, and the price of homes we were in the market for had jumped $100K while waiting for her house to sell. In frustration, Steph gave Troop a call. She could gradually feel her anguish subside as the calm, knowledgeable person at the other end of the phone carefully listened, verified her understanding of Steph's situation and interests, and began to suggest strategies for selling her home and showing us viable new properties. Luckily for us, the Troop Real Estate Agent to whom Steph was speaking was Christy Rueckert. Within a few weeks Christy had Steph's home in escrow, and Christy was surely setting new industry records for patience and attention to specific customer preferences by engaging in a home showing marathon with us. Steph and I never felt pressured by Christy to make a decision. She patiently listened to our concerns (and to our occasional fits of self doubt and indecisiveness), and offered excellent advice to help us through those exciting but stressful times. Steph and I quickly came to the realization that Christy is a very well-networked, "full service" agent for Troop. Impressed with her support when selling Steph's home, I asked Christy to help me sell mine. When I needed advice on what things should be spruced up to maximize curb appeal and profit, she offered her own expertise and hooked me up witha knowledgeable general contractor with whom we worked to meet all my home and landscaping improvement requirements. When we were looking for a mortgage broker, Christy put us in touch with the President of Mortech - who she personally contacted to help us get the lowest interest rate and fees possible. She connected us with title companies, home inspectors, fumigation companies, moving companies, and even carpet stores - answering a million questions for us along the way. Christy always seemed to know reputable people who could assist us with whatever challenge we were facing at any given moment. Christy had proven herself so helpful in so many different scenarios that eventually it became an inside joke between Steph and me. If the breeze happened to be blowing in a slightly unfavorable direction, or the sun seemed too bright and the nearby stand of eucalyptus trees needed to be moved to the left 100 feet to keep us in the shade, one of us would say to the other, "Darling, would you call Christy and ask her to please take care of this for us?" Even after Christy had successfully sold Steph's home and mine and had helped us find our beautiful new home, it wouldn't be long before we again sought her support through Troop. Sadly, within a year of moving into our new home, Steph's mom passed away, and Stephanie highly recommended Christy to her family as a realtor they could trust with the sale of their parent's home. This would prove to be a challenge because Fillmore was quite a bit off Christy's beaten trail. More importantly, home sales were cooling off rapidly. It took a lot of faith and patience, but a couple of months ago escrow closed to the great relief of the family. I'll wrap this soon, but we have one more insight about Christy that we'd like to share. During the course of working with Christy we became aware of a situation in which she had agreed to share responsibilities to support a client with another Troop agent. Unfortunately, the other agent could not be available to share equitably in the associated workload - requiring Christy - who had a baby on the way - to accomplish the lion's share of the effort. While under the circumstances Christy would have been within her rights to expect commensurate compensation, she put her professional relationship with her associate first and honored the terms of their original agreement. This wasn't the only time that it would become clear to us that ethics and professionalism were an important part of Ms. Rueckert's decision making process. Christy's demonstrated resolve to put her word to a teammate over personal financial gain impressed Steph and I, and we feel that her integrity, her knowledge, her professionalism, her empathy, her skill, her energy, and her commitment to our satisfaction and to keeping us well informed throughout four different real estate transactions all reflect very favorably upon Troop." "I am grateful to have been linked with Christy and her team. They were always professional, punctual, experienced, knowledgeable and overall had all of the characteristics of a team that I wanted representing me. I was shocked to see how low the inventory of homes was in my price range. As we began to look for houses, we were always met with multiple offers and I was outbid a few times. In today's market, you better make sure you have an agent that will be available at a moments notice to drop everything, show you a home, and make an offer within 1-3 days of noticing a new listing. If you don't have this type of agent, you may not get the house you want. I ended up having an accepted offer on a short sale. This was a process that I was not prepared for. It is a lengthy process. Christy was aggressive in making sure that all of the other entities involved were staying on track. Ultimately I think I got a very fair deal and although the process was longer than I'd hoped, I'm convinced that without someone like Christy, the deal may never have closed. Every time Christy said she would do something, she did it. She knows how to make things happen. She also only seems to surround herself with top notch team members like Cassie. I appreciated that she also had referrals for lenders, home inspectors and insurance agents. The choice was always mine and I could have spent lots of time looking for them myself, but I figured out quickly that Christy would not recommend someone who's standards in their own industry were less than hers. I would absolutely use Christy as an agent again and would recommend her to anyone!!!" "Christy and her team made the whole process very smooth. As a first time home buyer, I did not know what to expect. Sometimes when I had a question, she was very quick to answer my concerns. Equally important, I also received references from her which turned out great. Overall, I'd say she is an expert in her profession." "Christy was very helpful and understanding in trying to help us find our "dream" home. Christy's knowledge and explanations of short sales and REO's helped in our decision in purchasing. Christy worked hard to show our house and did an outstanding job staging the house to sell. We sold our house in 27 days in the current economic conditions. We would highly recommend Christy to all our friends and family." "Christy, Thank you so much for your dedication, organization and help during our home buying process. You were so supportive and provided us with the guidance we needed as young, first time home buyers. We can't thank you enough! Our home is so much better than we thought we would be able to buy!" "Christy is the best! We have purchased homes before and have never had such a pleasant experience. The entire transaction went smoothly and efficiently. Christy is a consummate professional and we would not hesitate to recommend her to anyone." "Christy is extremely professional and provides exceptional service! I work with Christy on a business level and when it came time to purchase a new home I couldn't think of a better agent to use. Christy really knows the market very well and I will definitely use her again in the future." "We have worked with Christy several times now and both times the experiences have been wonderful. Not only did we get a great agent but someone we would call a friend." "Christy was fantastic through the entire process. She makes you feel comfortable, explains things in a simple and to the point manner, and makes the process feel as stress free as it can." "Christy is an absolute professional who is resourceful, pro-active, responsive and a great communicator. She has outstanding real estate knowledge and a degree in economics. She is adaptable and has proven her skills during up & down markets. She handles the most meticulous details efficiently & effectively while always protecting her clients' best interests. She is honest and has uncompromising ethics. We've worked with other top performing Realtor's in different geographic markets and Christy outshines them all. We can confidently recommend Christy to you." "Christy is hardworking, efficient and caring. She listens to your needs, wants and concerns. She is also a wealth of information. Being a first-time home buyer we had a lot of questions going through the whole process. She was patient, knowledgeable and always gave 110%. Christy Rueckert is an amazing agent and HIGHLY recommended when it comes to your real estate needs." "Searching for and buying a home can be a frustrating, tiring, and stressful experience. Christy's hard work made the experience a lot more enjoyable. She was very knowledgeable and always available for us. Christy really helped us to find the perfect home and we couldn't be happier. Christy is by far the best agent we've ever had and highly recommend her." "Christy Rueckert has been such a breath of fresh air in the whole process of the short sale of our home. She made a process that seemed so stressful and complicated run so smoothly. Christy was always professional, courteous, efficient, and most all, truly cared about us and are particular situation. We have worked with several Realtors in the past in the sale and purchase of other properties, but no one else has compared to Christy. She is the only Realtor that we could in good conscious recommend to anyone looking to buy or sell a home. Thank you so much Christy!" "Super smooth transaction even though we live 150 miles away. Christy handled everything in a timely manner and kept us posted daily. She is professional and friendly and very knowledgeable." "Christy did a great job finding homes that suited our needs and did not pressure us into any purchases. She was very responsive to our questions during the entire process. Her staff took very good care of us and she lined us up with a great lender. Christy made the experience fun and easy." "We have sold about a dozen properties over the years and have never been as completely satisfied with any of our previous Realtors as with Christy. Her professionalism and attention to the endless details is unsurpassed from the very first meeting to the final handshake. She manages to make an otherwise stressful experience virtually painless. Thank you Christy! You are the only realtor that we unconditionally recommend to our friends and family." "When I lost my job a couple months ago, we needed to get our condo on the market quickly so that we could sell it and move back to Florida. I immediately knew who I wanted to contact – Christy Rueckert. We had received several of her cards in the mail which said “I just sold another property in your area …”, and I remembered her name. I wanted someone who was familiar with our condo complex and who had had success in selling other units. We were not disappointed!Christy came to our home just two days after I contacted her. I figured we would have to start from scratch, but she came prepared with a whole folder of comparative market analyses, particulars about our condo, resume of her personal experience and qualifications and documentation about Troop Real Estate Inc. She already had min and max figures in mind for what we could expect to get for our condo – that really helps a seller to stay away from unreasonable expectations. But she never pushed anything on us, and always accepted our final decision on matters. Christy’s price guides were right on target, because we got an offer on the condo the first day after listing. The price offered was higher than any unit that had recently sold in our area. Two weeks later, the prospective buyers unexpectedly rescinded their offer. But before we could hardly say “Back on the market”, we had another offer which sailed right through to closing. The whole process, from the day we signed with Christy until the day our proceeds appeared in our bank account, took exactly two months – and that included the one false start. One sure sign that Christy’s star is rising is that she has partnered with Marilyn Heathcote, another Troop professional, to help offload some of the voluminous administrative paperwork that accompanies real estate transactions. This frees Christy to spend more face time with clients, which is so important in her business. All of Christy’s advertising is coordinated in theme and design, adding to the air of professionalism that accompanies her. Even though she has many clients, every time she contacted us, she made us feel like we were her only customers.Would we buy or sell another home through Christy Rueckert? Absolutely! … except that we will be in Florida and she will still be out here. But if we hear of any of our California friends who need to make a change in residence, we will immediately clue them in and tell them to skip the yellow pages - simply call 805-388-6880 and ask for Christy – she’ll take it from there." P.S. "Almost forgot to mention, we have received a fantastic discount on our moving expenses by using the moving company with which Christy/Troop have a business relationship. Another good reason to Call Christy." "Monique and I want to take this opportunity to formally thank Christy Rueckert for assisting us in purchasing our very first home in the beautiful city of Camarillo. In times of inflated real estate market prices, we were convinced we would not be able to purchase a single-family residence in Ventura County. We are forever thankful that we had the opportunity to meet Christy. Christy referred us to a select group of lenders with whom she has worked in the past. After speaking to a specific lender, we were pleased to discover that home ownership was possible. Based on the fact that Christy took the time to assist us in securing a mortgage, we ultimately decided to have her represent us in the home purchasing process. We are truly grateful we made that decision. Within days, we found a property, and Christy took over from there. Christy’s work ethic was very admirable. She clearly explained the entire process to us and took the time to ensure that all of our needs and desires were satisfied. What impressed us the most about Christy was her approachable personality, and the fact that she treats her clients as if they were close personal friends. Christy made the entire process stress-free and comfortable. Additionally, Christy always kept our best interests in mind. Christy possesses all the traits desirous of a real estate agent; she is reliable, punctual, energetic, sincere, honest, friendly, and perseverance. Every time we had a question, Christy had a prompt answer. Every time we had a concern, Christy had a prompt solution. Christy is unique in that she is fully committed to providing her clients with the very best service. I will not hesitate to recommend Christy Rueckert to anyone who is interested in either buying or selling a home. Christy helped our dreams of home ownership become a reality! Thank you very much Christy, for all you have done." "Amazing. That is the word that best describes the job that Christy Rueckert did selling our home. Christy kept us constantly informed about what was happening with the sale of our home. She kept us informed about other home sales in the area, and she consistently followed up with every agent that viewed our property. We had more showings with her in 2 weeks than we did during the previous 3 months when we (big mistake) had our home listed with a different agent. Christy had us 3 offers within that same 2 weeks, and she timed our counter offers so well that we ended up in a multiple offer situation. This allowed us to get top dollar for our home, and because the buyer she found us is planning on some extensive remodeling, it also saved us thousands of dollars in repairs. She has also remained in constant contact with us during our escrow, to make certain that everything has been on schedule and progressing smoothly. I would wholeheartedly recommend Christy to anyone who is considering listing a property in Ventura county, or anyone who needs a buyer agent. She really did an amazing job, and we are very thankful for all her help." "This letter is written on behalf of Christy Rueckert. We had the pleasure of working with Mrs. Rueckert when we recently sold our condominium and purchased a townhouse. This experience was pleasant, trouble-free and uncomplicated because Mrs. Rueckert is professional, extremely knowledgeable, well-prepared, and efficient. She always responded immediately to our calls and always had an answer or a quick turn around with the necessary information. Furthermore, her sense of humor and smile is refreshing.Buying and selling a home can be a daunting effort; the paperwork and sundry tasks require patience, control and most importantly a level of trust and comfort between Realtor and clients. Mrs. Rueckert made the entire experience actually enjoyable.There is no doubt we highly recommend Mrs. Rueckert to anyone who wishes to engage a highly skilled, professional real estate agent to assist with the purchase or sale of their home." "It was a pleasure to get to know and work with Christy. She handled the sale of our property with great integrity and attention to detail. On the 3rd day of listing our property, we received an offer. Christy helped us to close in 30 days without any problems. Christy took on most of the stress of selling our property with a smile and made the experience comforting. "Christy Rueckert was a great help throughout our entire selling and purchasing process; she always had our best interest in mind. We have dealt with other agents in the past, and we really believe that Christy is the most reliable, personable, and helpful agent that we have worked with. We feel that she is not just our real estate agent, but our friend as well." "Thank you for your help with the purchase of our new home in Camarillo. You did an excellent job. We would be glad to recommend you to any one wanting to purchase real estate." "Dear Christy, Thank you so much for the gift card and daily reminder. We appreciate your thoughtfulness and will certainly put both gifts to good use. So nice of you to do that for us!I enjoyed meeting you and found your kind & friendly personality refreshing. It was a pleasure to do business with you.May the new year bring you many happy clients and lots of good luck and happiness." "I walked into one of Christy’s open houses in Mission Oaks without planning on buying anything. Christy introduced herself and it was immediately evident that she was a personable, outgoing, and hardworking person. While asking me questions about my preferences and what mattered to me in a home, Christy showed me around the open house. After a few minutes, I was uninterested in the property and was ready to leave. I spoke with Christy for a few minutes about my goals and plans. Christy had me sign her guest book with all of the usual information- name, address, desired price range, etc. I left unimpressed with the property I had looked at, but very pleased with Christy. Not more than a few days later, I received a hand-written note from Christy thanking me for visiting her open house and telling me she was available for whatever kind of real estate needs I might have in the future. Not long after that, Christy contacted me and told me she had been researching properties for me and she had some that fit my criteria and was within my price range. We went and looked at a couple of places and it was obvious to me that Christy paid close attention to what I desired in a home. I knew Christy was the agent for me. Christy was always easy to work with. She continuously adjusted her plans to accommodate my needs and demanding schedule. She came in early, stayed late, and always put in that extra effort. After a couple of offers and counter-offers on other properties, I found the property that was right for me. Christy’s attention to detail and hard work continued throughout the process as we ran into one obstacle after another during escrow. Not knowing much about the real estate business or the process in general, I was lucky to have an agent like Christy. I hear nightmare stories about other agents and even got to witness it on the opposite end of my transaction. I was great to know that I had someone I could count on every step of the way. Everyone should conduct business like Christy with professionalism, courtesy, and with the highest degree of integrity. It was a pleasure to work with Christy Rueckert."